We have BOMs for 2019 ! 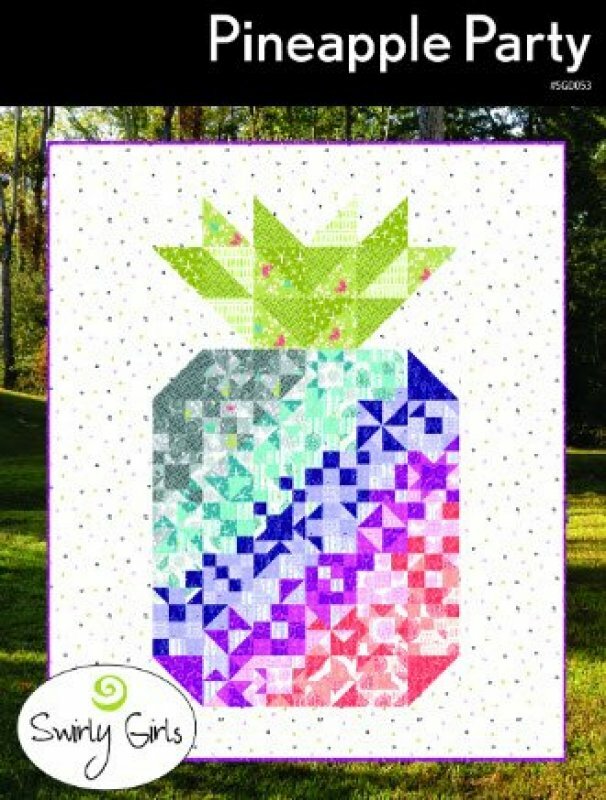 This is our 2019 Block of the Month starting in February 2019. This fun and beautiful BOM also teaches you quilting techniques. Sew 6 to 9 small blocks with a different technique each month. Beginners can learn the techniques and seasoned quilters can sharpen theirs and share sewing tips at the Sit and Sews every month. The finished quilt is approximately 60 by 72 inches. The fees include all the fabric for the quilt top, including the binding. We have two payment options available. 2. $125.00 paid in full before Jan. 15, 2019. We are offering FREE demo sessions each month. Our staff will show you tips and techniques for making the current month's blocks. We will also show you other ways to make the blocks when making multiple of the basic blocks. These sessions will be held on the 1st Sunday at 12:30 pm each month (except September) and the 1st Friday of each month at 10:30 am (except July). Stay and sit and sew after each of these sessions. Remember to sign up for the Sit and Sew each month since our space is limited. Kits will be ready for pickup on the first of every month and can be picked up at any time thereafter. Bring your finished blocks and share them with us when you pick up the next month and get a special coupon to use in the store for that month. Sign up by calling us at 804-262-0005 or sign up online by going to this link. We are embarking on a new adventure here at QA. Let's get to the Rules of the 2019 Mystery! 1. This is a Cross Stitch BOM or Block of the Month. This means that on the 1st of each month a new Xstitch kit will be available for you. 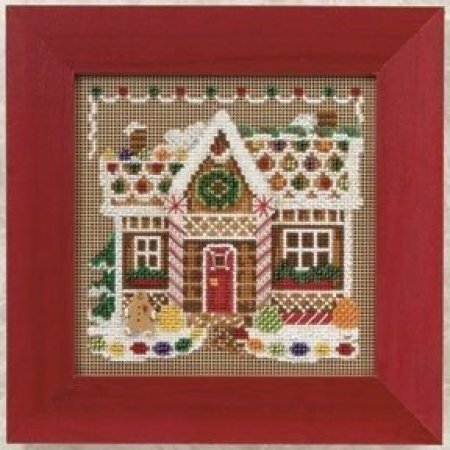 Each kit can be combined into one big project or stitched for several smaller projects. We sorta like the big project idea, but it's up to you. 2. You voted and we have two choices for your Mystery BOM, not one. Option One is the Halloween-themed Mystery. This BOM lasts for 6 months, starting Feb 1st. Option Two is the Winter-themed Mystery. This BOM lasts for 9 months, starting Feb. 1st. You may choose to sign up for one or both Mysteries. It is possible to complete both each month. 4. Each monthly kit will include everything you need to finish that month's block. You will get a pattern, thread, beads, buttons, and 2 needles. The kit also includes perforated paper. You have the option of purchasing linen or evenweave for each of these months and we will help you determine how much you will need depending on how you plan to stitch your mystery. We will be stitching the store samples on linen and evenweave rather than the perforated paper for your visual pleasure. 5. Additionally, sign up for the Mystery BOM Workshop for Feb 2, 2019, at 10:30 am, or Feb 6th at 5 to 7 or Feb 7th at 10:30am. During this workshop, you will be shown how to start and any tips, tricks, and shortcuts we have learned by doing these mystery kits. For the BOM Mystery members, this workshop is free. For non-BOM customers, it's $25. 6. Other optional items you may purchase for a 10% discount to do your Mysteries include: extra needles, hoops, threaders, and your linen or evenweave. 7. The Sit and Sews are also included for free. Those will be available on the first Tuesday of each month at 10:30 am and the second Sunday at 12:30 pm. Come and get motivated those days. 8. When you bring in your completed block for the month, you can be entered into the Gift Card drawing to be held when both Mysteries are finished. Also, 10% off your next Xstitch Mystery when you complete an entire XStitch 2019 Mystery by Dec 1, 2019. 9. You will also be signed up for a special email list, providing you with motivational emails and updates periodically throughout the Mysteries. Who-hoo! 10. If you have questions about these Mystery BOMs, ask Elvira at quiltrva@gmail.com and she will do her best to answer your questions in a timely fashion.